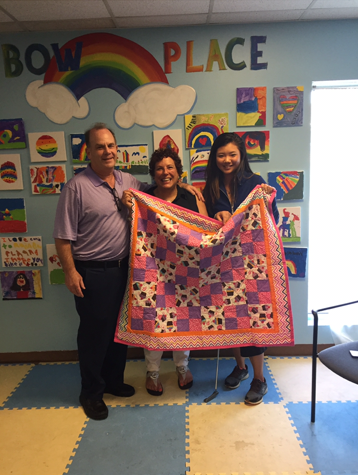 Jennifer Ha, of the LPGA, delivers quilts to children in need during the LPGA ShopRite Classic. This is the 2nd year the ShopRite Classic and Kindquilts partnered. Tournament volunteers created the quilts.